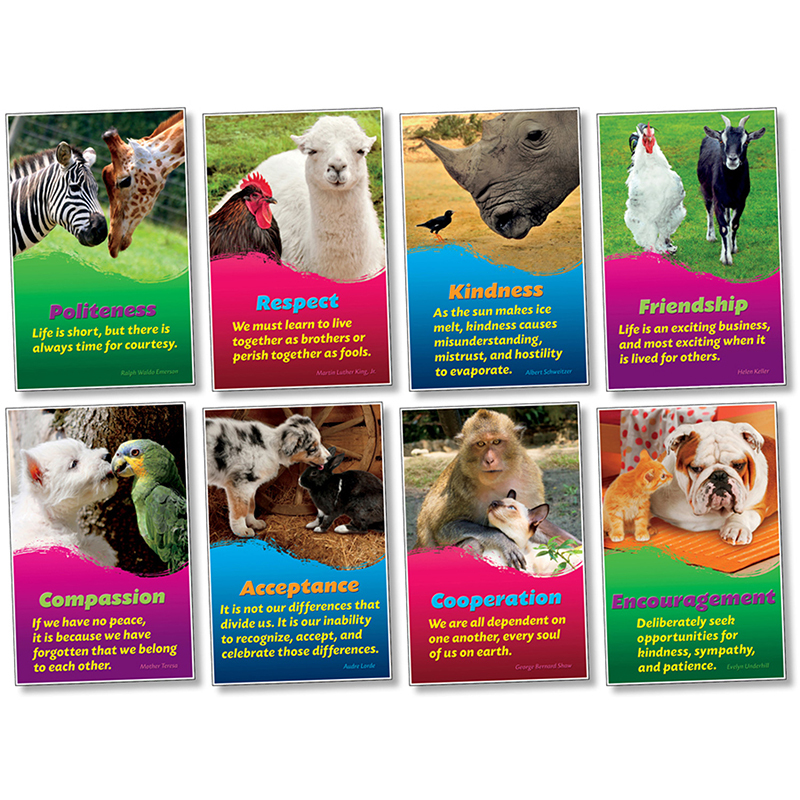 Adorable animal photographs offer students a unique view of eight positive character traits that foster friendly and supportive relationships. Each poster features an encouraging quote from a well-known author, educator, or community leader. Includes eight 11" x 17" (27.9 x 43.2 cm) posters. 8 pieces.